Venice is an alluring, unique and historic city of the world. 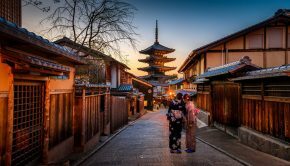 The city has preserved its history and buildings but never became a museum, you only visit once in your life. 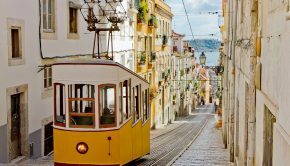 In a successful way the city rebuilt itself as a destination that you want to go every year. 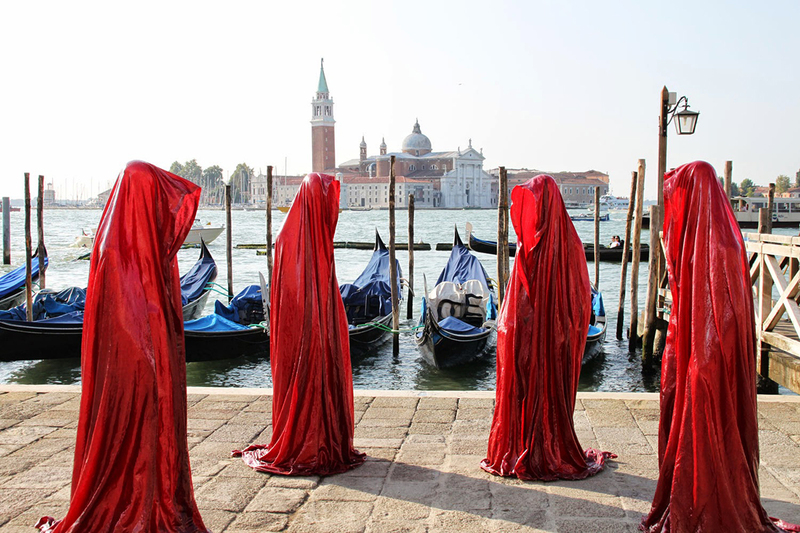 Of course La Biennale di Venezia which was founded in 1895 has the biggest impact . It became over the years one of the most famous and prestigious cultural organizations in the world. During the Art and Architecture Biennial the whole city is acting like a big exhibition space. And the Venice International Film Festival at the Lido (the oldest in the world dating to 1932) has remained a prestigious event worldwide due to the quality of its selection and the recent refurbishing of its historic buildings and technological supplies. Over the years Venice embraced also contemporary architecture and design. Philippe Starck designed Pallazina G hotel in 2010. 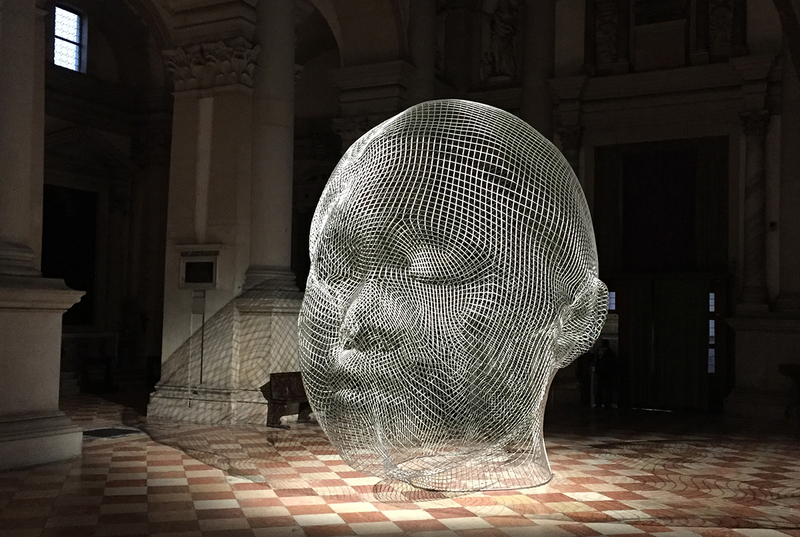 Tadao Ando reclaimed the new art space renaissance of Punta della Dogana. Renzo Piano reconstructed Spazio Vedova in 2010 as a contemporary art space. 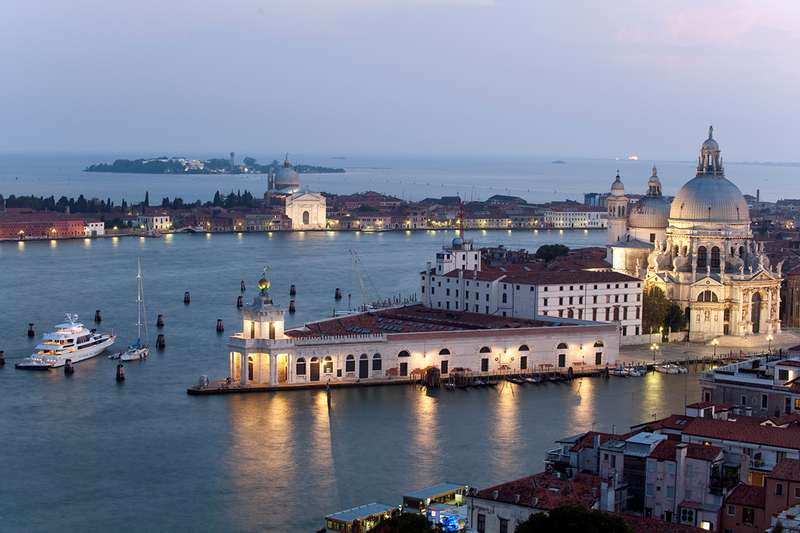 Aman resorts restored and opened one of the most glamorous hotel of the world Aman Canal Grande along the Grand Canal in 2013 and this year Rem Koolhaas and OMA redefined the luxury shopping experience in Venice with Fondaco dei Tedesci department store. 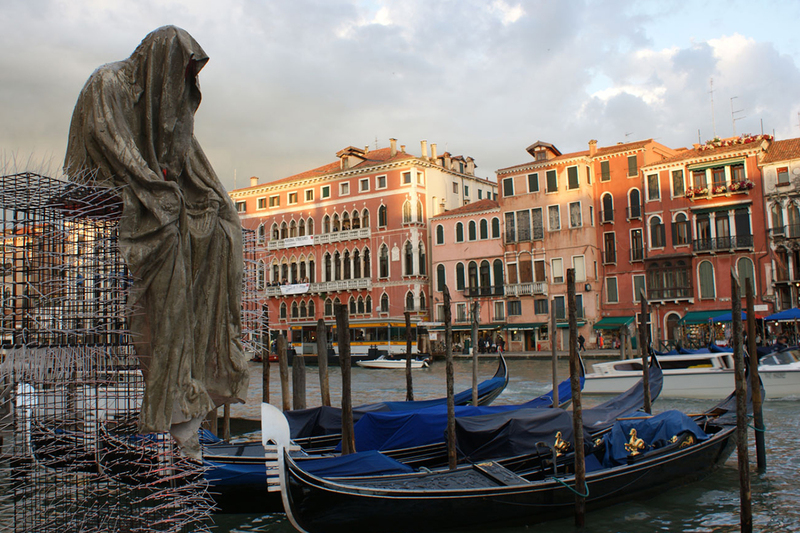 I have selected the most amazing places for a Venice trip to see the new contemporary face of the city. 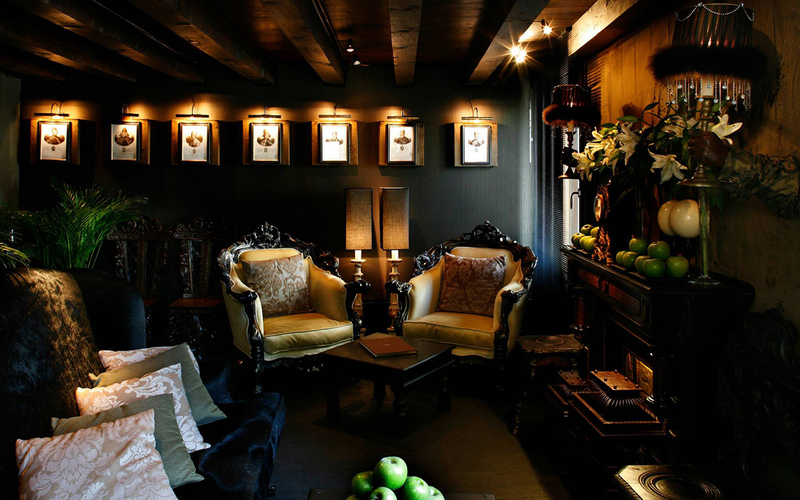 Hotels: Apart from Gritti Palace and Hotel Danieli I have two new favorite hotels in Venice. Aman Canal Grande is set in a 16th century palazzo on the Grand Canal is home to museum-quality treasures including Tiepolo frescoes, gilded ceilings and centuries-old leather wall coverings. With views of the hotel’s private garden or the Grand Canal, most of the 24 Rooms and Signature Rooms feature protected frescos and reliefs. Contemporary furnishings complement authentic silk wall coverings, chandeliers, wood panelling, chinoiserie and painted ceilings, many Suites offer Grand Canal views. With views directly over the magnificent church Santa Maria della Saluteone Ca Maria Adele is in the most exclusive tranquil quarter of Venice . Decorated by its owners the 12 rooms spread across the four floors of the palazzo through the fusion of diverse decorative styles combining the fabrics called “damaschi” with the african wood furnishing’s. Frankly speaking its not easy to eat good food in Venice . That’s why you should stick with the classic ones like Harry’s Bar, Do Forni for the best sea food and Restaurant Terrazza Danieli for the best Venice view. 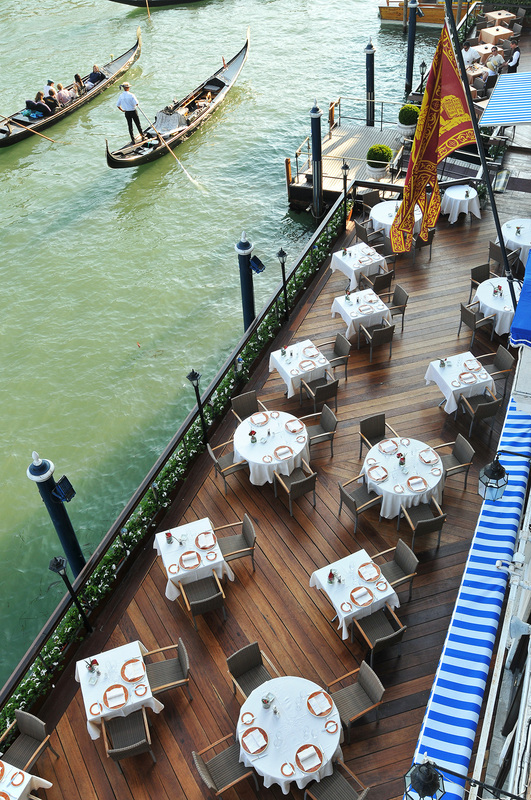 Try also Aman Canal Grande’s restaurants and bar which are open to guests and non-residents. 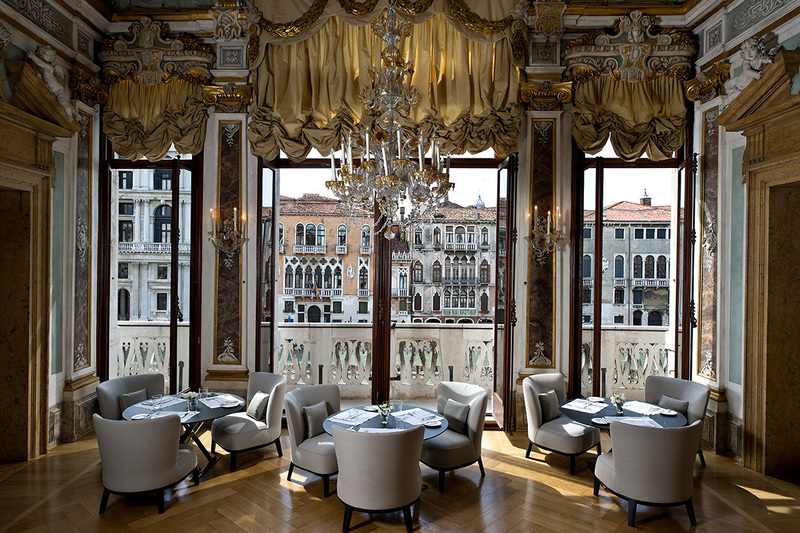 Don’t miss the elegant, historic piazza San Marco bar, Cafe Florian. 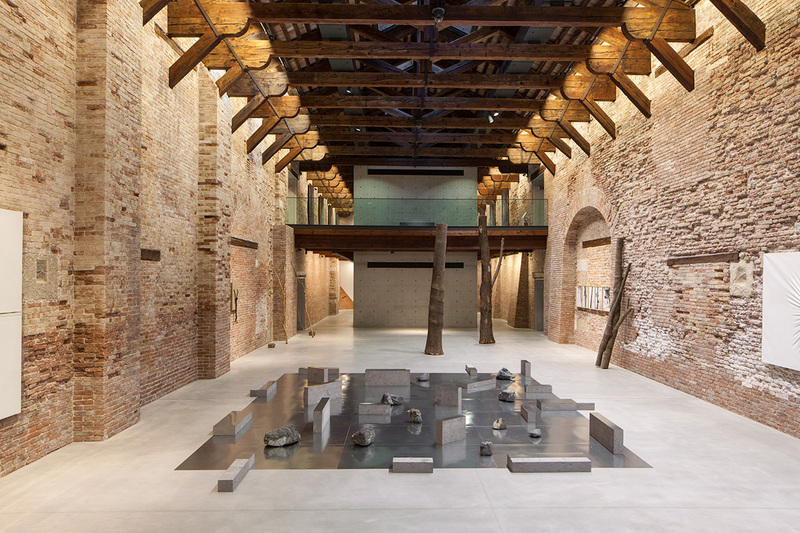 Punta della Dogana is the new home for the Francois Pinault Collection. The building was completed in 1682 by Architect Giuiseppe Benoni. Architect Tadoa Ando restored and space and turned it into a contemporary art Mecca where various exhibitions take place. Built between 1748 and 1772 by architect Giorgio Massari, Palazzo Grassi was the last palace to be built on the Grand Canal before the fall of the Venetian Republic. Palazzo Grassi was bought by Fiat as a space for art and archaeology exhibitions, and the building was adapted by the Milanese architect Gae Aulenti. In 2005, Palazzo Grassi was bought by art collector François Pinault. Renovated by the Japanese architect Tadao Ando, it reopened in April 2006 with the exhibition “Where are we going?”, which presented the French businessman’s splendid collection of contemporary and modern art for the first time. Ca’ Corner della Regina, built between 1724 and 1728 by Domenico Rossi for the Corner family of San Cassiano, is a Venetian palazzo overlooking the Grand Canal. 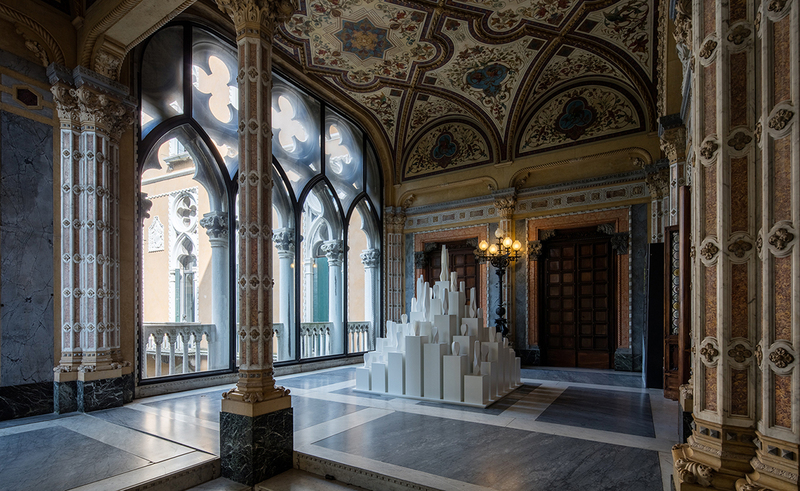 Until 1969, it hosted the Monte di Pietà, whereas between 1975 and 2010 it became the home of the ASAC – the Historical Archive of Contemporary Art of the Venice Biennale. 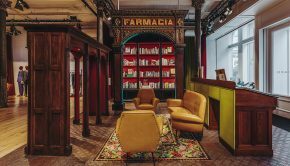 Since 2011, it has been the Venetian headquarters of Fondazione Prada, which has launched 5 research exhibitions in this venue until today. 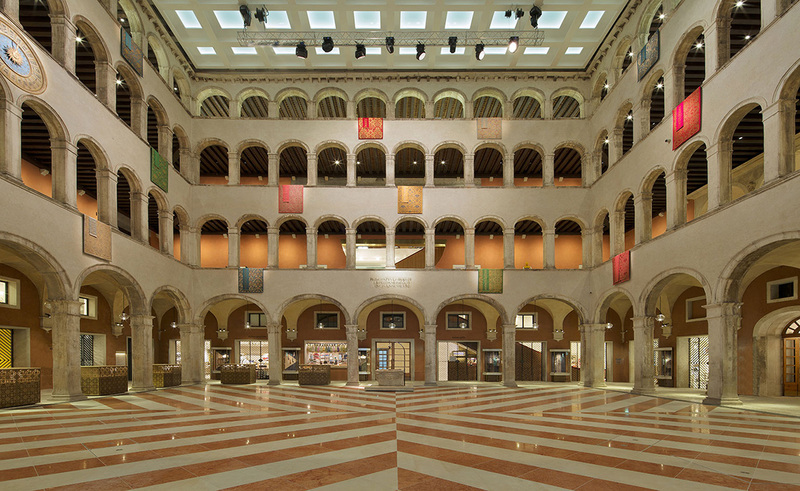 Dutch architecture firm OMA has restored the historic Fondaco dei Tedeschi in Venice, adding new entrances and wood-panelled escalators to turn the 16th-century building into a department store. 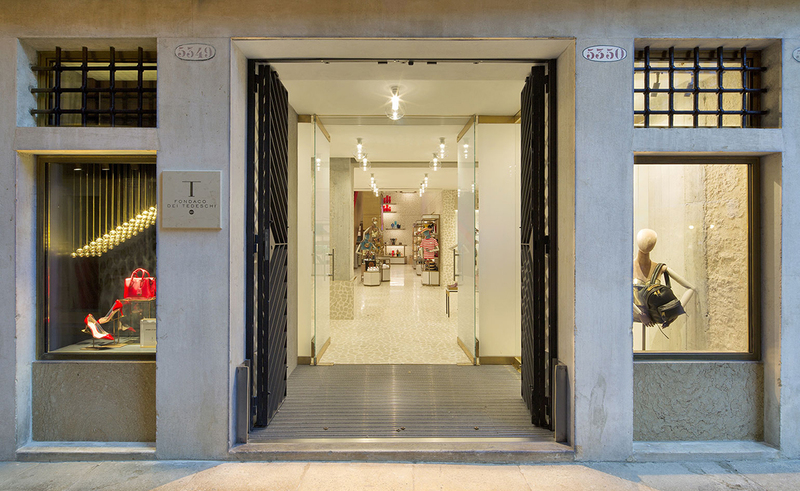 Now Venice has a contemporary urban department store staging a diverse range of activities, from shopping to cultural events, social gatherings and everyday life. Edited with an eye on the luxury market, the stock consist mainly Italian, brands. Gucci and Bottega Veneta hold court on the ground level alongside an Italian specialist gourmet corner, while a spiralling ribbon of cardinal red escalators rise to the upper floors, which stock women’s fashion and jewellery men’s fashion and watches and women’s shoes and beauty.